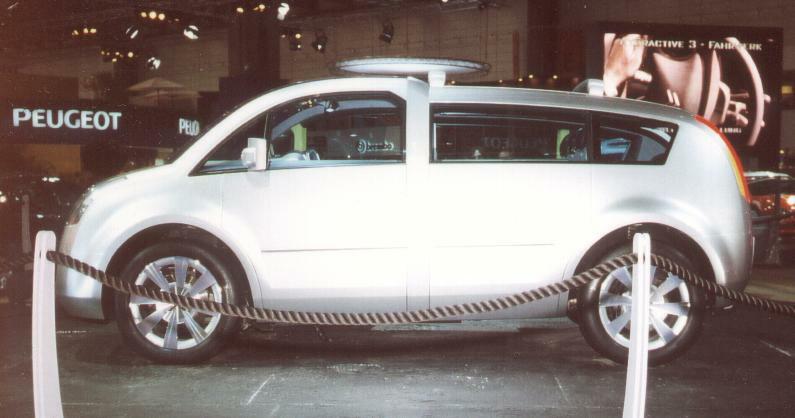 This concept car of a sport-utility-van had its premiere at the German IAA, in 2001. Thanks to raised front-seats, the front passengers have a superb view. Super, because so you won't have passengers on the backseat so often, so you can change the car into a pickup! Typical for Citroën is the hydraulic suspension. 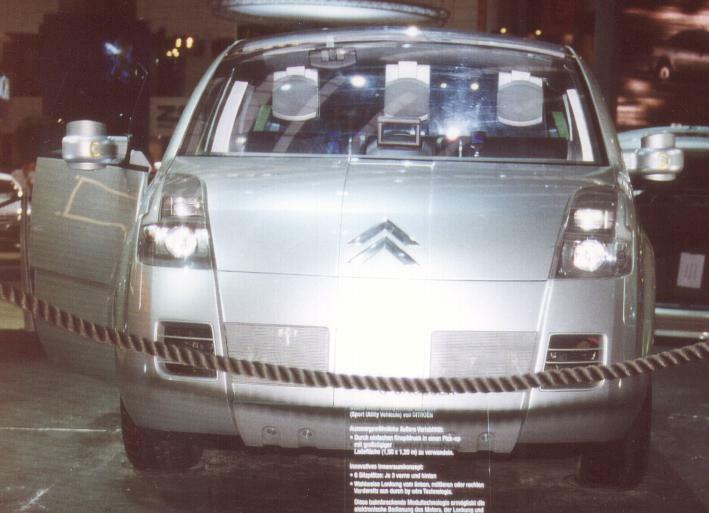 To get the car off-road, Citroën spent him a 4WD and an all-wheel-steering. The driver can choose the position of the driver-seat, thanks to "drive-by-wire"-technology. So he can place himself even in the middle of the frontseats, that reminds him to the Ital DesignColumbus, a much bigger car, but similar in design. 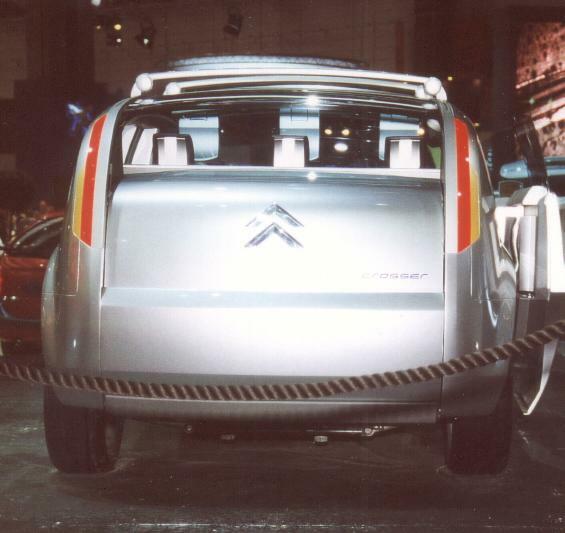 The C-Crosser was also presented at the Swiss Motor Show of Geneva, in 2002.